The three stone engagement ring is a classic style, and now that the Duchess of Sussex, Meghan Markle, is wearing one, it’s a popular choice. What does it symbolize? Which diamond shapes work best? Follow these tips to pick a beautiful one. What’s the meaning of a three stone engagement ring? What has more sparkle: a diamond solitaire or a three stone engagement ring? Which diamond shapes work best for a three stone engagement ring? What mountings work best for a three stone engagement ring? A three stone engagement ring typically has one center diamond bordered on each side by another gem of the same size or smaller. 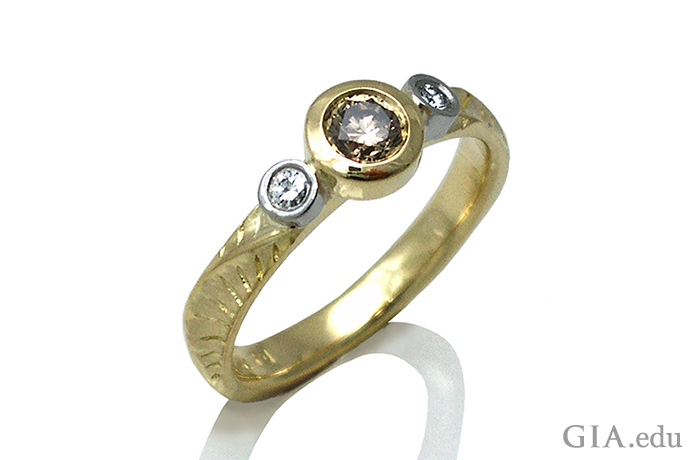 The three stone engagement ring style dates back at least to the 17th century, and it is rich in meaning. To some, the three stones represent a love that encompasses “yesterday, today and tomorrow.” To others, they symbolize “friendship, love and fidelity” or “mother, father and child.” Others believe the three stone engagement ring represents the Holy Trinity. In some designs, the center stone is a colored gem, but here we will focus on three stone engagement rings with a diamond at the center. Cut, one of the 4Cs of diamond quality (the other three are Color, Clarity and Carat Weight), is an important factor in how much a diamond sparkles – diamond experts call that ‘scintillation.’ The GIA cut grade takes into account the diamond’s proportions, culet size and girdle thickness, as well as the symmetry of its facet arrangement and the quality of the polish on those facets. Facets are like tiny mirrors. 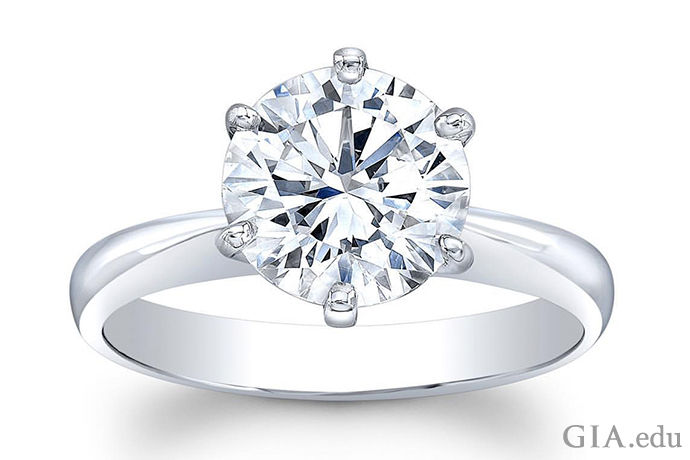 Their size and placement will influence how light behaves as it passes through the diamond and back to your eye. 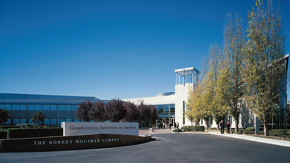 GIA only grades the cut of round brilliant diamonds; other diamond shapes do not receive cut grades. A round brilliant’s potential cut grade ranges from Excellent to Poor. 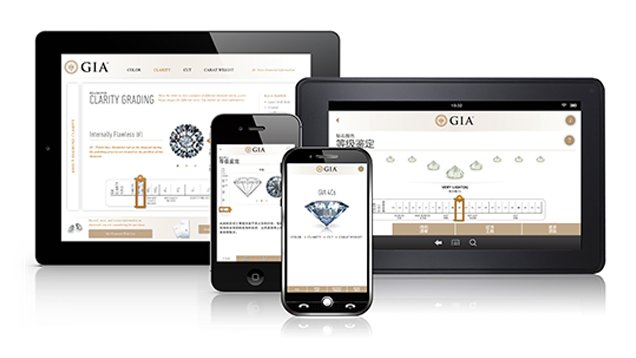 You can take a deep dive into understanding diamond cut by reading GIA Diamond Cut Grade: Six Things You Need to Know. A GIA Diamond Grading Report can tell you a round brilliant’s cut grade, giving you objective information you need to make a comparison. Learn more about comparing loose diamonds by reading our blog. Assuming in both cases the diamonds are of equal size and quality, a three-stone diamond engagement ring will have more sparkle than a diamond solitaire. But what if you’re comparing diamonds with different cut grades? Or you’re comparing diamonds that are not round brilliants? Or for the same price as the three stones you can get a solitaire that is significantly larger? If sparkle is what you’re looking for when comparing diamonds of different shapes, cut grades or sizes, view the solitaire and the three stone rings under different lighting environments – and not just under the bright lights of the store. What diamond shapes work best for a three stone engagement ring? Since the round brilliant is the most popular diamond shape, it’s no surprise that you’ll see many three stone engagement rings set with round brilliants. Other popular diamond shapes for three stone engagement rings are the oval and the square or rectangular princess cut and cushion cut. An engagement ring with one large and two smaller emerald cuts has a sleek, sophisticated look. 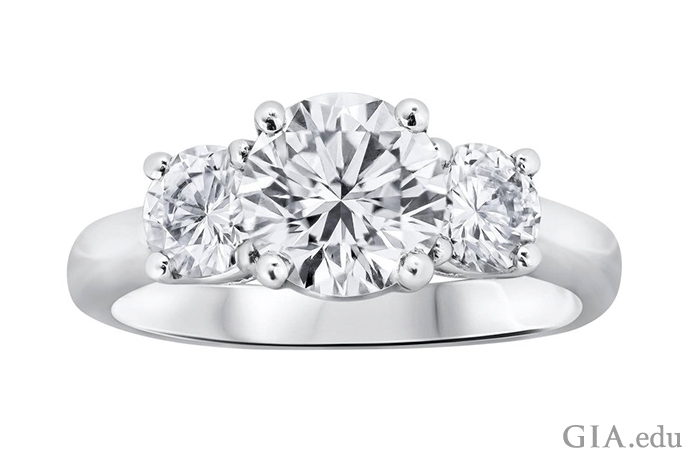 The symmetry of this shape brings a grace and rhythm to the ring. You can also mix and match shapes. For example, a trilliant cut diamond on either side of a marquise, oval or princess cut diamond would frame the center stone nicely. Light (S–Z): Color can be seen in stones of different sizes. The diamonds appear slightly yellow or brown but do not have sufficient color to be considered “fancy” colored diamonds. You can use this information when searching for side stones to complete your three stone engagement ring. Diamond Color: Seven Things You Need to Know gets to the heart of diamond color. Clarity grades should also be similar but need not be identical, as most inclusions are not visible with the unaided eye unless the diamond has a grade of Included (I1, I2 or I3). Learn more in Seven Things You Need to Know About Diamond Clarity and VVS versus VS Diamond: What’s the Difference in Diamond Clarity? 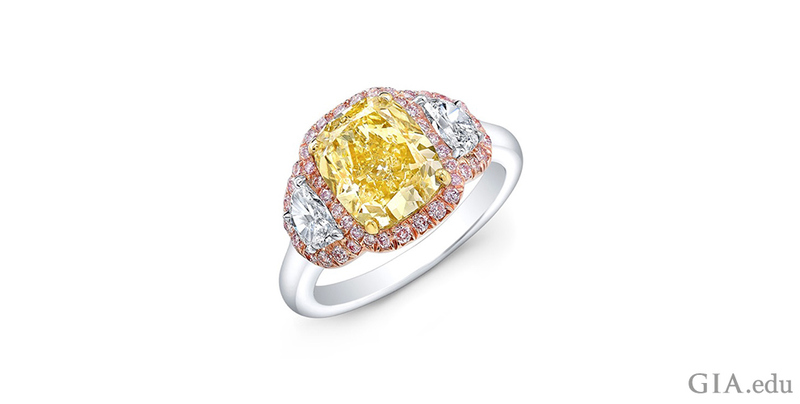 Want to add a pop of color to your three stone engagement ring? Then consider adding rubies or sapphires as side stones. Both gems are cherished for their beauty. They are also a 9 on the Mohs scale of hardness, making them durable, long-lasting choices for an engagement ring (only a diamond is harder). You can use colored gems as the center stone of your ring. 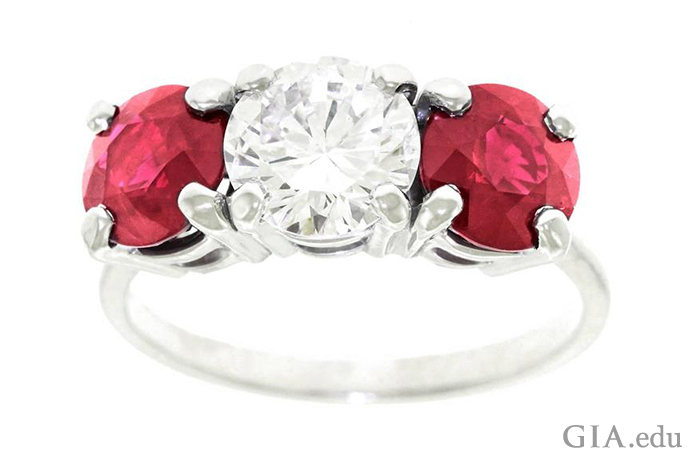 Here are tips for picking a stunning ruby or sapphire. 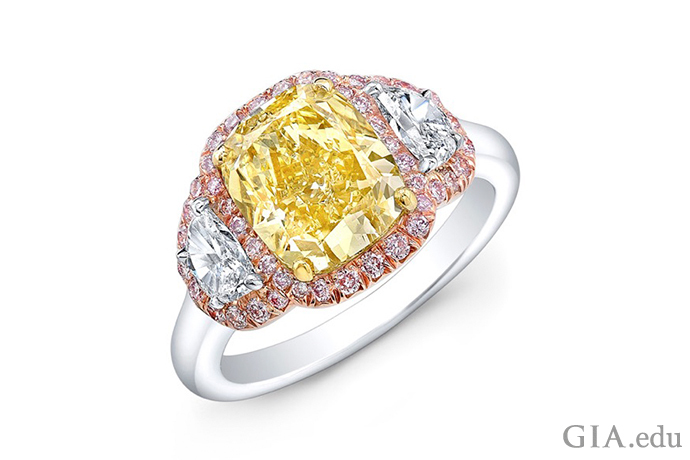 You also have other choices for colored gemstones, and we share them in our Buying Guide: Colored Gemstone Engagement Rings. Deciding how to set the stones in a three stone engagement ring is a matter of personal preference and your beloved’s lifestyle. The most common choices are prong and bezel settings. A prong is a narrow metal support, usually in groups of four to six, used to hold a gemstone securely in place. A bezel is a thin metal strip that is pushed or hammered around the edges of a gem to hold it in place. 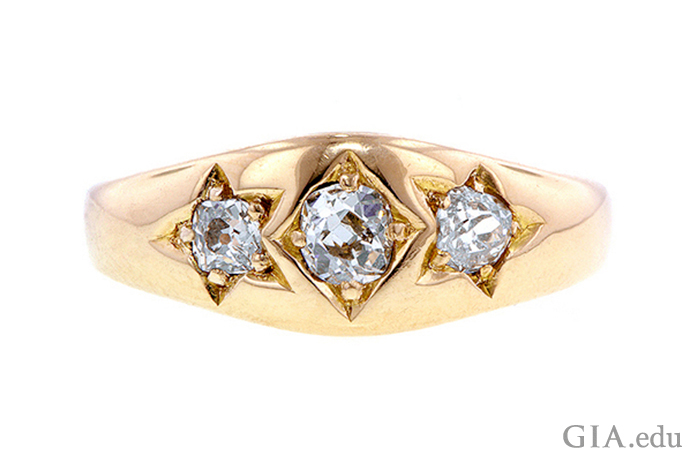 Prongs will show off the diamond better, as the least amount of metal will be on the stone. Less metal means more diamond to see and admire. 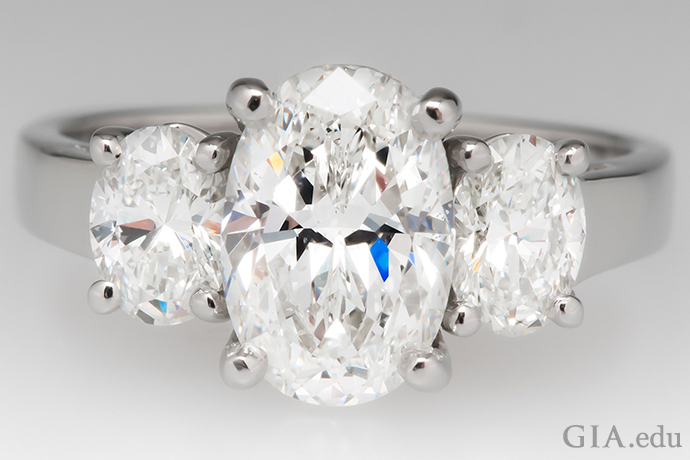 The trade-off is that diamonds in a prong setting can be more vulnerable to damage than those in a bezel setting. Because a bezel setting protects the stone, it is an excellent choice for individuals who are physically active and love the outdoors. The three stone engagement ring has charmed for centuries – and is now especially chic. 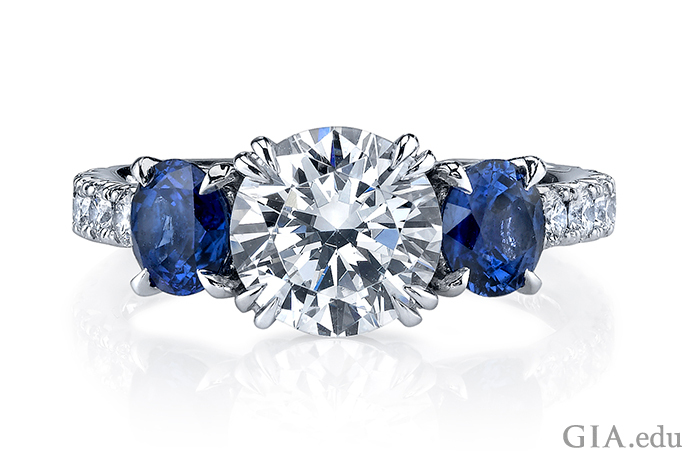 Pick a beautiful one, and you’ll have an engagement ring that is timeless. The three stone engagement ring is hot, and so are these seven other irresistible Engagement Ring Styles.